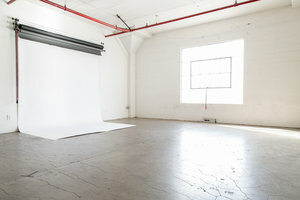 Concrete Studios LA-All Inclusive Photo Studio and Creative Space for Video, Film, and More! The Most Affordable Photography and Film Studio in Los Angeles! At Concrete Studios LA, We are dedicated to providing our clients with the affordable location they want, the equipment they need and the CUSTOMER SERVICE they deserve. No Fine Print...No Gimmicks...No Hidden Fees...Immediate Confirmation! CONCRETE STUDIOS LA PROMISES TO NEVER CHARGE HIGHER PRICES JUST BECAUSE IT'S A WEEKEND OR BECAUSE YOU’RE SHOOTING FILM!! Show Up and Shoot! We'll take care of the rest! Studio A is equipped with backdrops on the wall for easy pull down, 5 creative walls, vintage upright piano, Vintage sofas and chair, 3 Lights/Strobes and more. Studio B has west facing windows that offer soft glowy morning light as well as dramatic afternoon. 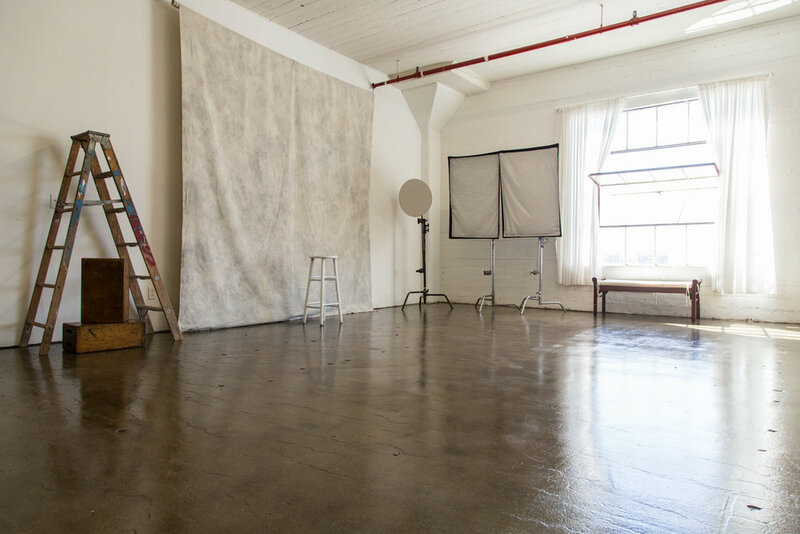 Its our brightest studio featuring polished floors, Canvas backdrops, soft curtains, 3 lights/Strobes and more. Studio C features a 14ft Wide x 12ft Corner Cyc Wall. 9ft Floor to Ceiling window. (6) colored backdrop rolls. 4 Lights/Strobes and more. Studio D features multiple wood backdrop sets. Paper seamless, Private Bathroom and more. Studio comes with 3 lights. Also located at the Rooftop location. Studio E will feature a pre-lit 16ft foot CYC wall for consistent white backgrounds, Creative White Roll-up Door, make-up station, White Brick Wall, 5 lights and more. Studio F is our largest Creative Studio featuring vintage and rustic props that gives your shoots a classic "Vanity Fair" editorial feel. Studio F also comes with an impressive 16ft x 18ft Cyc, Paul C Bluff Einsteins, Profoto lighitng and more.